The ultimate Spider-Man collectible is here! 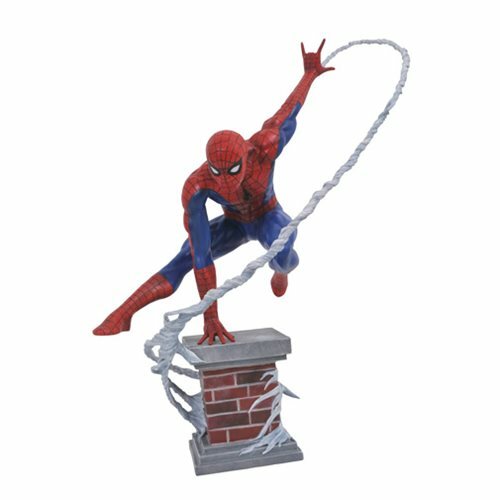 This large-scale resin statue of Spider-Man depicts a classically styled wall-crawler vaulting over brickwork as his webline whips around him. Dynamically hand-sculpted by the legendary Clayburn Moore, this high-end, 12-inch collectible is a must-have item for any Spider-fan! Limited edition to only 3,000 pieces, this Marvel Premier Collection Amazing Spider-Man Statue features a hand-numbered base and comes packaged in a full-color, hand-numbered box with a certificate of authenticity. Ages 14 and up.